It’s just about time for Cinco de Mayo! I love a good Mexican dish and this one is not only quick and easy–it’s wonderful to eat too! 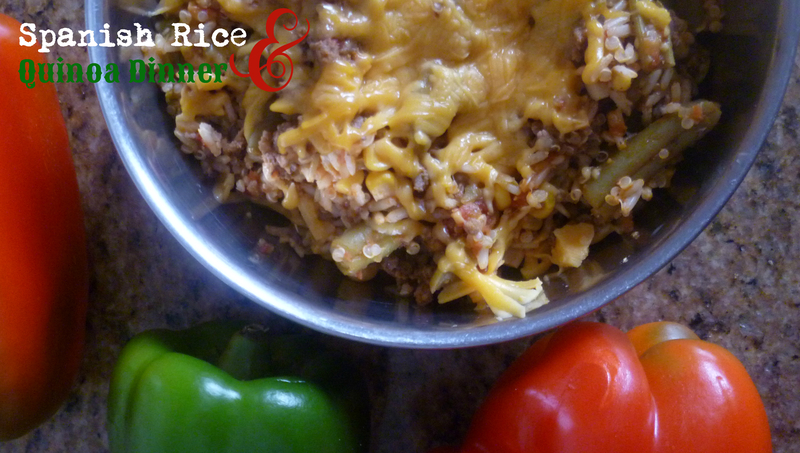 Grab your fork and have some Spanish rice and quinoa dinner! This dinner combines the taste of Mexico with a hearty helping of vegetables and meat, rice, a rich array of spices and quinoa. We also added a helping of quinoa to up the protein and health factor. This is a great meal for serving to those who may have not been introduced to quinoa before. It’s a great blend of rice and quinoa. It’s Cinco de Mayo and it’s time to celebrate! 2 cups fresh or frozen green beans (cut the ends off the fresh beans and then cut into one inch pieces) (You can substitute red or green bell pepper for the green beans. You can also do a combination of peppers and green beans if you would like). In a large pan, cook the ground beef or buffalo on medium heat until no longer pink. Drain the meat, then return to the pan and stir in the remaining ingredients. Allow the mixture to come to a boil, then reduce the heat to medium low, cover and let cook for 30-40 minutes or until the rice and quinoa are cooked and tender. 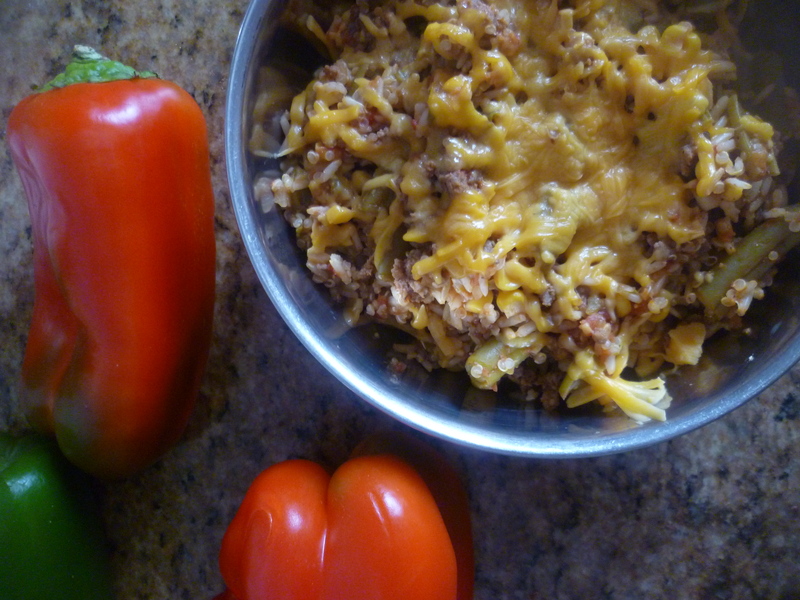 Top with mexican blend cheese or reduced fat cheddar cheese if desired. Serve with salad or a bean and corn salad. Mmmm, this has my mouth watering; it looks delicious! I like the added quinoa and the green beans. Thanks so much for sharing on Inspire Me Wednesday. Featuring you in next week’s issue.